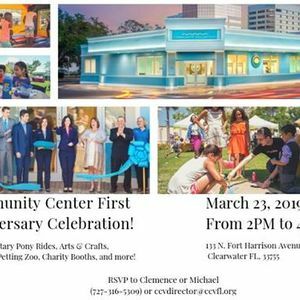 Clearwater Community Center First Anniversary Celebration! 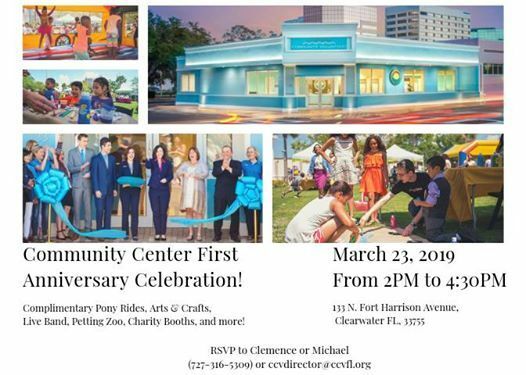 You are Invited to celebrate our first anniversary! The festival will be held in the Osceola Park at the corner of Fort Harrison Ave and Drew Street. Arts & Crafts, Fun Activities, Train, Petting Zoo, Live Music, and complimentary snacks. April Red Rockin' The Shipwreck on Clearwater Beach!